Virginia Slater began her professional career in 2005 having, by the age of twenty one, performed concertos in London, Paris, Vienna, Helsinki and Tallinn. She studied at the Royal College of Music Junior Department, Purcell School and the Guildhall School of Music and Drama under the tutelage of David Takeno. As an established recitalist and chamber musician, Virginia’s UK appearances include performances in the Purcell Room and Queen Elizabeth Hall on London’s South Bank, Wigmore Hall, St. Martin-in-the-Fields and the Royal Albert Hall as part of the BBC Prom Series. She has appeared at Festivals in Edinburgh, Brighton and the City of London and has collaborated with musicians including Katya Apekisheva, Tamsin Waley-Cohen, Jamie Walton, Thomas Carroll, Mathew Barley and Rachel Kolly D’Alba. As a founding member of the Covent Garden Consort she has made several recordings and has appeared on broadcasts on BBC Radio 3 and Classic FM. In demand as an orchestral musician, Virginia has performed as guest principal with Royal Liverpool Philharmonic Orchestra, Scottish Chamber Orchestra, Royal Philharmonic Concert Orchestra, Scottish Ballet, Opera North and City of London Sinfonia. 2018-19 promises to be an exciting time for Virginia. 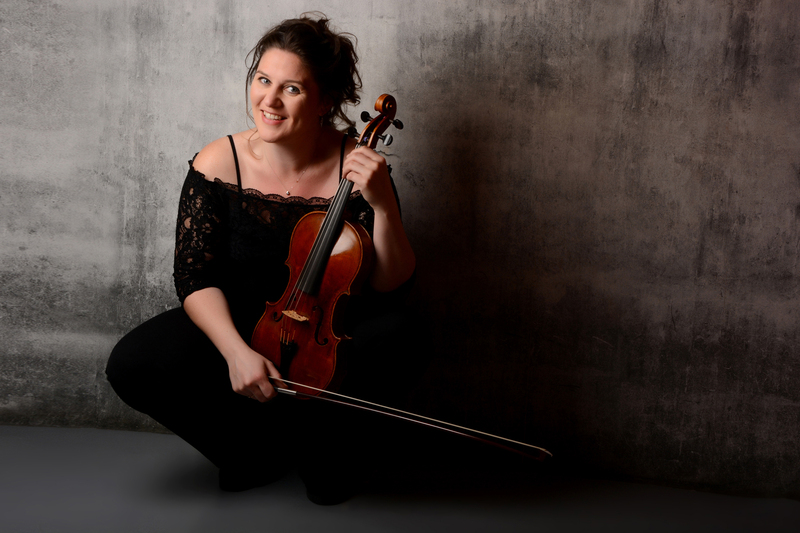 As the latest recruit of the esteemed Stradivari Trust she is looking forward to releasing her first recording as well as performances celebrating the purchase of her viola made by Pietro Mantegazza in 1793 in the U.K, Europe and America. These include Mozart Haus in Vienna and The Library of Congress, Washington D.C. with duo partner Adam Johnson. Forthcoming world premières include a viola concerto by award winning composer Julian Philips, a sonata for viola and piano by Freya Waley-Cohen and a set of works by Golden Globe nominated composer Brian Byrne as well as performances of Vaughn Williams’ Flos Campi for solo viola, orchestra and choir and Mozart’s Sinfonia Concertante.